Planning a kids’ weekend? How about a movie night for your kids and their best buds? Sound fun? There’s a long list of movies you can choose from when it comes to kids’ favorites’. 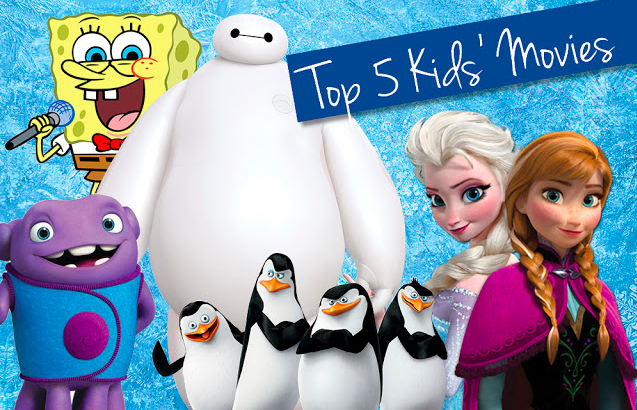 To help you make your selection, here’s a list of top 5 kid-pleasing picks that will definitely entertain your little ones. From the all-time favourite animated series to the big screen. Spongebob Squarepants, together with his friends Patrick, Squidward, Mr. Krabs and Sandy will have to take an out-of-the-water world journey to conquer a not-so-friendly pirate named Burger Beard who stole the top secret recipe of Krabby Patties. He will also have to join forces with Plankton to defeat the bad guy. Fun filled with adventure that will satiate kids’ humour. The four most elite spies ever hatched collaborated with an undercover organization called North Wind. Fearless Penguins Skipper, Kowalski, Rico, and Private joined forces with the organization which is led by Agent Classified to defeat the villain Dr. Octavius whose motive is to destroy the world. Little ones will enjoy this movie because most kids are extremely fascinated by animals. This is a story of a kind hearted robot named Baymax whose sole purpose is to take care of people. He was transformed into a high-tech hero, together with his other robot friends, to help Hiro who is his closest companion. Kids will love the thrilling journey of the characters while learning the importance of friendship. Home is a story about fun and friendship starring a little girl (Tip) and an alien (Oh). This movie will certainly captivate kids’ hearts. Two friends set out together to find Tip’s mother after the earth’s alien invasion. A fun movie with heartwarming story. Let it go! Every little girl knows who Elsa or Anna is. The story of a kingdom trapped in a never-ending winter and how Anna and her friends find her sister, Snow Queen Elsa and break her icy spell. The journey to success isn’t that easy and there are a handful of mishaps in their way but greatness will always reign. Frozen is the perfect movie to teach kids the power of love and how it can turn all things to beauty. Thanks Mini Exchange for sharing some cool must see kid movies suggestions. Here's some ideas to make it even more special by planning a family movie night or a party with friends. Popcorn station is always a good and yummy idea, we love this one from family fresh meals or a hot coco bar. Keep it cosy on your sofa or set up a backyard under the stars movie night. 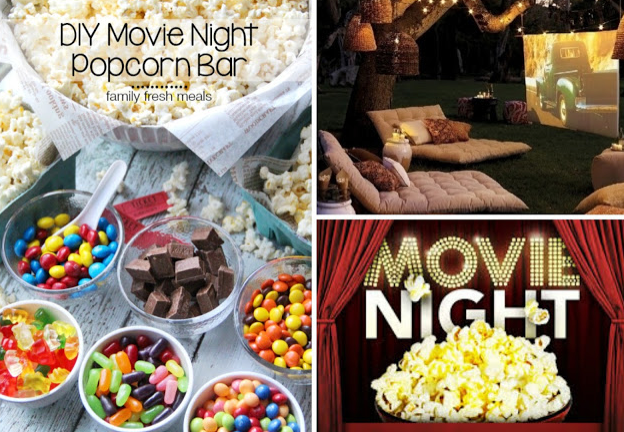 Here's more ideas and printable for a fun and truly special movie night!